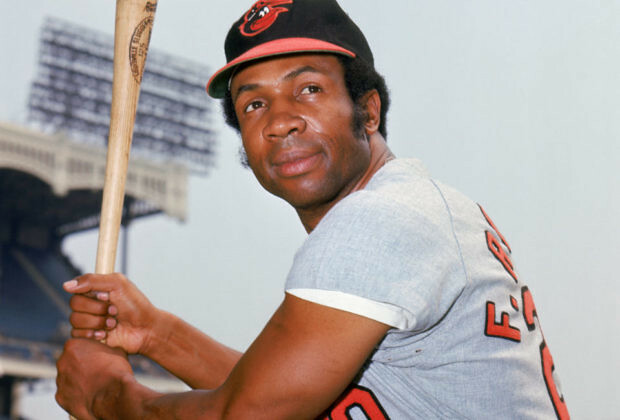 Frank Robinson was 83. He was the only player to win MVP in both leagues, earning National League honors with the Reds in 1961 and the American League award with the Baltimore Orioles in 1966. He made 14 All-Star game appearances in a Hall of Fame career, and currently ranks tenth on the all-time home run list with 586. In 1974, the Cleveland Indians made Robinson MLB’s first black manager. As a player, he was just before my days as a baseball fan (and his last season was the year before the Jays' first). So, I remember him as a manager, mostly. It was Frank vs. Cito down the stretch in 1989. And he was the last manager of the Montreal Expos. Consummate professional person when he played & managed. Everybody loved him. On Blair & Brunt's podcast recently, Cito Gaston spoke very fondly of Robinson and how proud he was to be part of the fist ever MLB game managed by two black managers. Hard to believe it took until 1989!